Losing your fat, not your muscle. Proper diet and exercise. Let’s look at some important tips that will help you to structure your cutting phase in order to maximize body fat loss, minimizing muscle loses, build a great body and also achieve great health. Now, some degree of muscle loss is inevitable any time you try to reduce your body fat levels. But, here we examine three vital rules you can implement in order to keep as much of your hard-earned muscle mass intact as possible, while you lose your body fat. The first tip to lose fat and not muscle is not let your calorie intake drop too low. In order to lose body fat, you must consume fewer calories than what you burn. To put it simply, you have to eat less and watch your daily nutrition. This creates the necessary calorie deficit, which is needed to stimulate your body to burn fat as a source of fuel. However, cutting down on your calories has to be carried out with caution. Although it is a mandatory pre-requisite for fat loss, going too low will put your lean muscle tissue at risk. For this reason, a good guideline would be to follow a calorie deficit of about 15% to 20% below the maintenance level of your body. Your body’s maintenance level is defined as the total number of calories that it needs on a daily basis in order to maintain the current and healthy weight. So, 15% to 20% below maintenance level is a deficit that is large enough to maximize fat loss, but low enough that the majority of your muscle tissue will be left intact. To find your calorie maintenance level, I would recommend using what is called “The Harris-Benedict Formula” which you can easily find it with a basic Google search. When most lifters shift into a fat loss phase, they make the huge mistake of switching to a light-weight fitness regime, high-rep plan in an effort to increase muscle tone and definition. In reality, this is completely misguided and completely counter-productive to your bottom line progress. Always keep in mind; spot reduction is impossible. In other words, when it comes to good body shape and robust health, you cannot target fat loss from specific areas of your body by training those areas with weights. Resistance training targets only the muscles that are involved in the specific movements that you are performing and not the fat that surrounds those specific areas. Curls do not burn fat off of your biceps, dumbbell presses do not burn fat off of your chest and finally lateral raises do not burn fat off of your shoulders. Fat loss occurs on a total body scale as you keep yourself in a calorie deficit over time. As the weeks go by, you will lose fat from your entire body which will increase muscle definition. But you have no control over specific areas where fat is burned from. If you want to start a weight-training program, hop over to this site to learn about a few rules of weight-lifting and some common mistakes to avoid. With light-weight, high-rep approach, you provide a weaker stimulus to your muscles and you increase the chances of muscle loss during your cutting phase. If you are creating a proper calorie deficit through your diet and nutritional program and you are sticking to an intensive weight training plan, then there is really no need to perform an excessive amount of cardio. 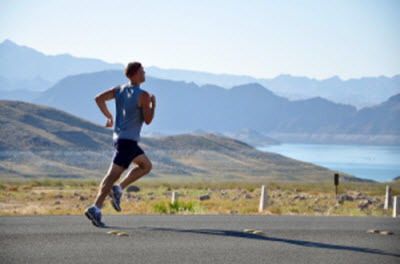 Aerobic exercise may be best at burning fat, weight loss and at burning extra calories. Cardiovascular exercise has many more benefits as it deters heart diseases, it lowers blood pressure, it lowers Cholesterol, it improves your immune system and it benefits your lungs. The only true requirement for fat loss is a calorie deficit and if you have already decreased your food intake sufficiently, then you should not need much more than a couple of cardio sessions per week. It is going to vary from person-to-person but for most people, two to three cardio sessions per week in combination with weight training, will easily get the job done. 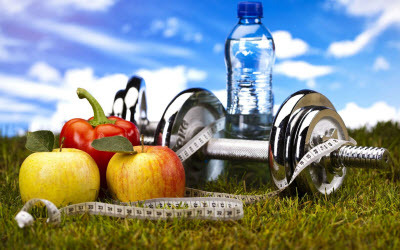 If you go overboard and start performing cardio every day on top of an already adequate diet fat burning plan, your overall calorie deficit will easily be stretched to an excessive level that leads to unwanted mass loss. In closing, while there are things to know before you get started with your fat loss endeavor, rest assured that it’s feasible, and it can be easy if you follow the above 3 tips.